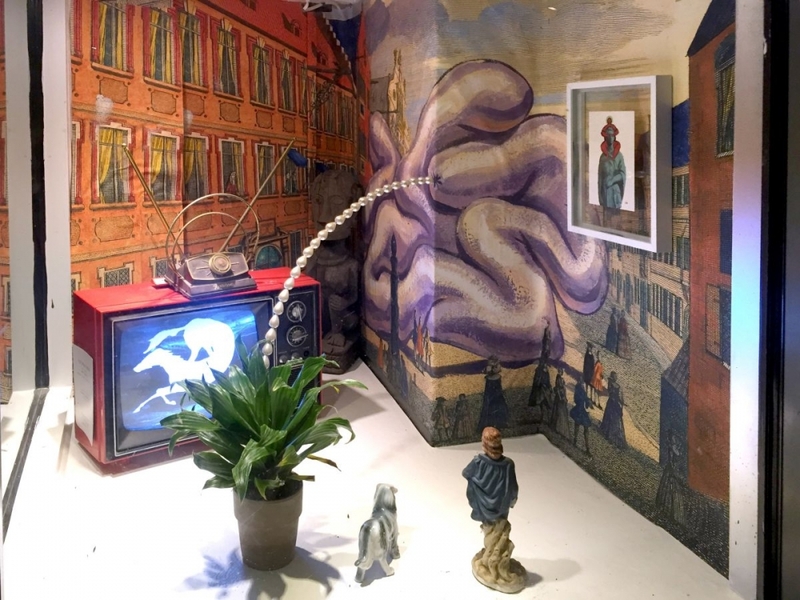 Time Equities Inc. Art-in-Buildings is pleased to announce the newest exhibition at the West 10th Window: Daniel Horowitz, TOTEM & TABOO: The Pathologies of Liberty. Daniel Horowitz's installation is a response to his ongoing engagement with Sigmund Freud's 1913 text, Totem & Taboo: Resemblances Between the Mental Lives of Savages and Neurotics. Horowitz's work is akin to a three-dimensional collage that explores an unfettered range of references, including the aesthetics of cultural appropriation, the legacy of Freudian psychoanalysis as a means to mine the subconscious, and the impact of tribal art on 20th Century Western art movements. The multi-media space Horowitz created in the West 10th Window is a synthesis of these swirling, complex ideas.